We found 7 episodes of Smashing Security with the tag “cryptocurrency”. Coinrail cryptocurrency exchange goes offline after hack, Russia appears to be 'live testing' cyber attacks, and Florida stopped running background checks on gun buyers because of forgotten password. 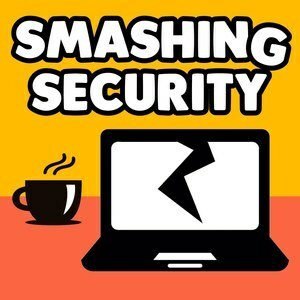 Endangering your friends online, the fibs told by VPN vendors, developments from the world of cryptomining, and Carole shares an animated GIF with Mikko and Graham. User interfaces and poor procedures lead to pandemonium in Hawaii, hackers are attempting to trick victims into opening cryptocurrency-related email attachments, and yet more pox-ridden apps are found in Android's Google Play store. What's all the fuss about cryptocurrencies? How can you protect your Bitcoin wallet? And how does the Blockchain work? Scammers show a lack of imagination after hacking a funeral home, more websites are secretly stealing visitors' resources to mine for cryptocurrency, and everyone is very confused about the USA's airline laptop ban.